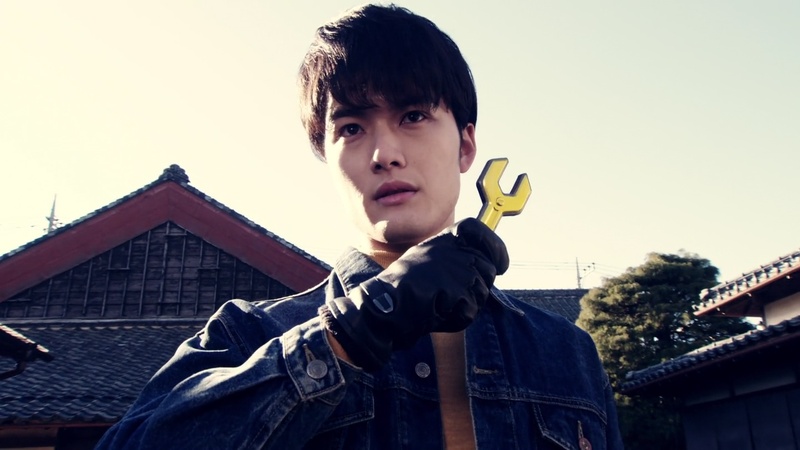 Geiz comes downstairs as Uncle Junichiro is happy to find an old toy robot he’s been meaning to fix. Written on it is “Will Be The King”. Geiz asks where everyone else is. Uncle Junichiro says he hasn’t seen Tsukuyomi and Sougo is taking makeup exams. He’s on the cusp of graduating, depending on the exams, but Uncle Junichiro says Sougo was confident going into them since he “saw” them in his future. Too bad though Sougo didn’t actually see the questions or answers in the future. 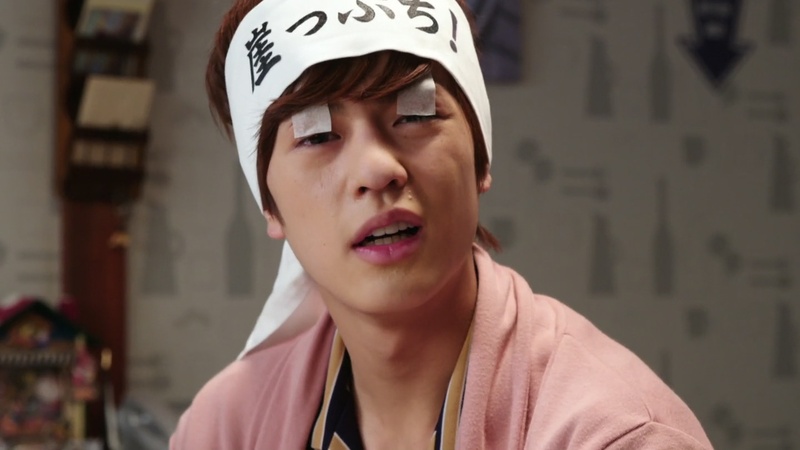 Sougo heads back home to study and prepare for his makeup of the makeup exam. But as he starts looking at the Calculus problems, he falls fast asleep. Sougo wakes up in a countryside town. He spots a nice little shop and decides to buy something. The Obasan comes out and asks if Sougo is a machine or a human. Sougo says human, he thinks. Auntie’s eyes go red and says humans must be destroyed! Auntie swings and kicks at Sougo who tries running away. But he runs into an Ojisan who also does the same thing. Now both Uncle and Auntie try attacking Sougo. But just then, Zamigo a young man appears. The Uncle and Auntie ask if he is human, but the man says Nope, he’s a machine. The man henshins to Kamen Rider Kikai. The Uncle and Auntie turn their attention to Kikai and they battle. But Kikai has no problem disabling the Uncle and Auntie. Before Sougo can say anything else, the whole world seems to be vibrating. Actually, it’s his phone. Sougo wakes up and realizes it was a dream. It’s Geiz on the phone and he scolds him for sleeping while an Another Rider has appeared. Sougo hurries out and over to where Geiz and the Another Rider are fighting. 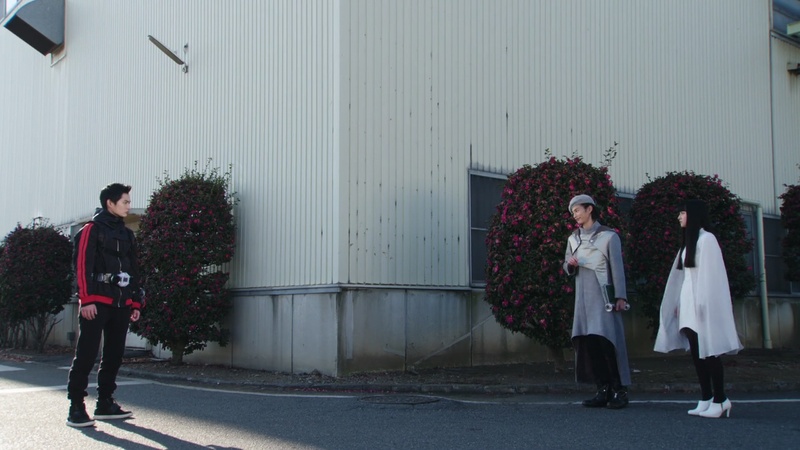 Sougo hesitates for a moment, but henshins to Zi-O II. Sougo is able to finish off the Another Rider, but Geiz is surprised there’s no person inside. Sougo says it should be good enough that the Another Rider is defeated. He hurries back home to keep studying. What they don’t see though is a strange skeleton spider thingy that emerges from the ashes. It scurries off and attaches itself to a tree to allow it to regain its Another Rider form. None of Ora, Heure or Schwartz have any idea where this Another Rider came from. Back home, Sougo gives studying a try again, but he falls right back to sleep. 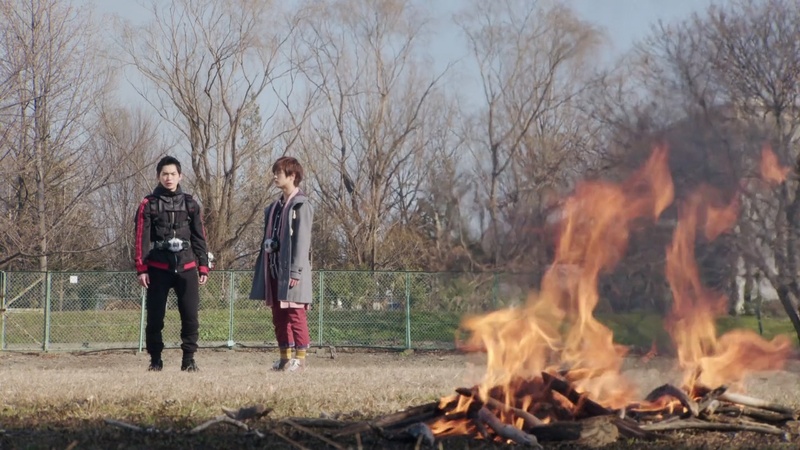 Sougo returns to the dreamworld from earlier and finds himself with Kikai who appears to know him. The young man introduces himself as Makina Rento. Sougo shakes his hand and wonders if this is a dream. 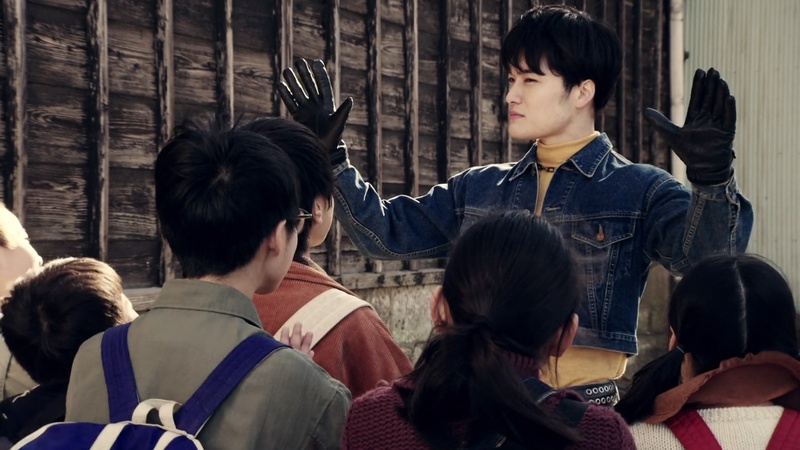 A group of kids come running up to Rento and ask about the Humanoise appearing. Rento says he took care of them and asks the kids if they’re alright. The kids excitedly want to see Rento charge up. He happily obliges and charges up with a laser beam from a solar power generating satellite. Sougo is amazed that he is a machine. Rento says this is 2021 and that Sougo is dreaming of the future. Sougo can’t believe he is in the future, but he also wonders why the future seems so old-fashioned. Sougo asks about the Humanoise. Rento says they are machines that take on human forms and they are already in control of the world. The last remaining humans live here in the human reserve where they can live peacefully as they die out. But the Humanoise refuse to allow it. Rento says he wants to bring these kids to an area where there are humans fighting back. They listen to a radio broadcast that tries to inform all humans about a meeting point. Sougo says it’s pretty great that even though Rento is a machine, he is helping these kids. Before Rento can respond, a group of Humanoise arrive and start attacking. Rento henshins and takes on all the Humanoise. He uses an Ultimate Finish attack to try and finish off these Humanoise. Sougo recognizes the attack as the Another Rider used it earlier. Rento delivers a Full Metal The End attack to take care one of the last Humanoise. But one last Humanoise whacks Sougo in the face with a shovel. He wakes up and hurries back out. Geiz goes Faiz and is able to defeat Another Kikai, but he doesn’t see the thing scurrying away again. Sougo arrives and tells Geiz about Kikai. 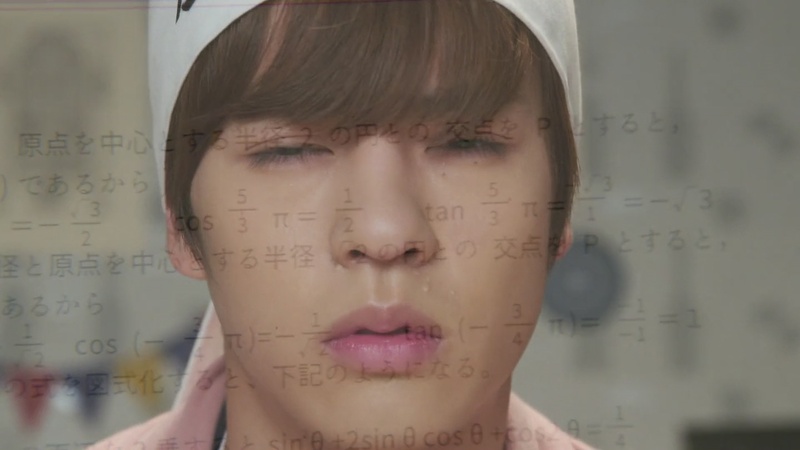 But Geiz scolds Sougo for sleeping when he’s supposed to be studying. Being a dropout demon king would be so lame. Sougo hurries back home as Tsukuyomi suddenly appears with ShiroWoz. 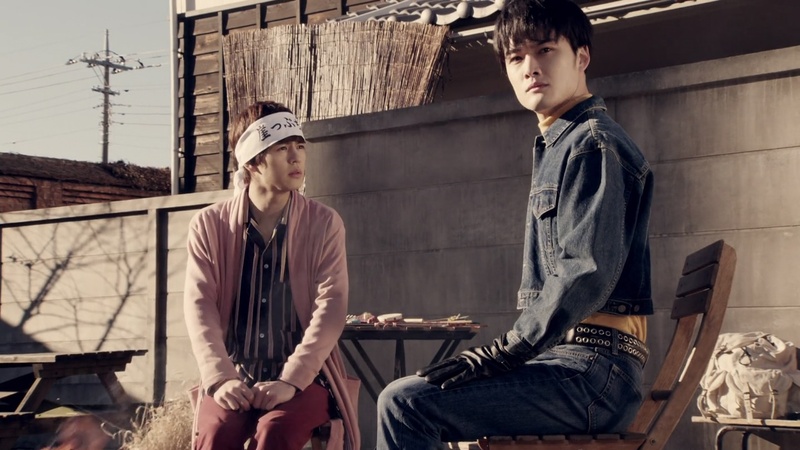 Geiz asks why Tsukuyomi is with him, but Tsukuyomi wants to ask why Geiz continues to stay with Sougo. ShiroWoz says he doesn’t know about Kikai and that far off in the future. But that Sougo’s dream was probably a prophetic one. Tsukuyomi says Sougo’s power is starting to surpass their own, which is why they must defeat him now. Back at home, Sougo does everything he can to stay awake. 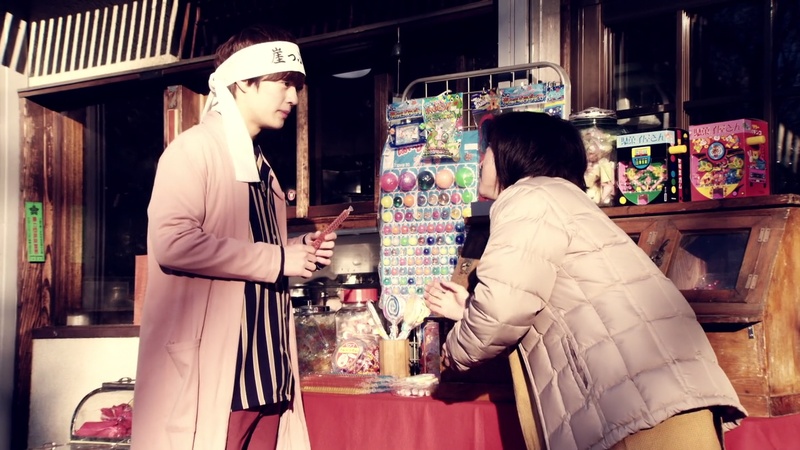 But Geiz arrives and actually tries to help him go to sleep in the hopes that he can get more information on Kikai. Geiz flashes back to Tsukuyomi’s warning earlier. Sougo ends up easily falling asleep and he finds himself back in 2021. Rento has been trying to wake up him all this time. But he suddenly grows weak as he needs to charge up again. Rento prepares to receive energy from the satellite, but a red beam suddenly shoots down and engulfs him. He is forced to henshin. Geiz is again fighting Another Kikai. Tskuyomi says their only option now is to work with ShiroWoz. ShiroWoz henshins to Shinobi and Geiz uphenshins to Ghost and together they are able to knock Another Kikai out for a moment. Sougo arrives and henshins to Zi-O II and delivers a King Girigiri Slash to defeat Another Kikai. Sougo sees the future. And just then, Schwartz takes the skelton thing and attaches it to Heure, turning him into Another Kikai. Schwartz says he is using Heure to stabilize Another Kikai’s power which could even result in a Watch. He challenges them to see who can obtain the power first. Ora is not happy. ShiroWoz says they will be first. He calls Tsukuyomi and Geiz to follow him. Tsukuyomi leaves first, following ShiroWoz. Geiz follows her. KuroWoz reads in his book and says Sougo’s loneliness will bring him a new power. Still, it was great to see Jingi Irie actually get some good material. It’s a very interesting concept. 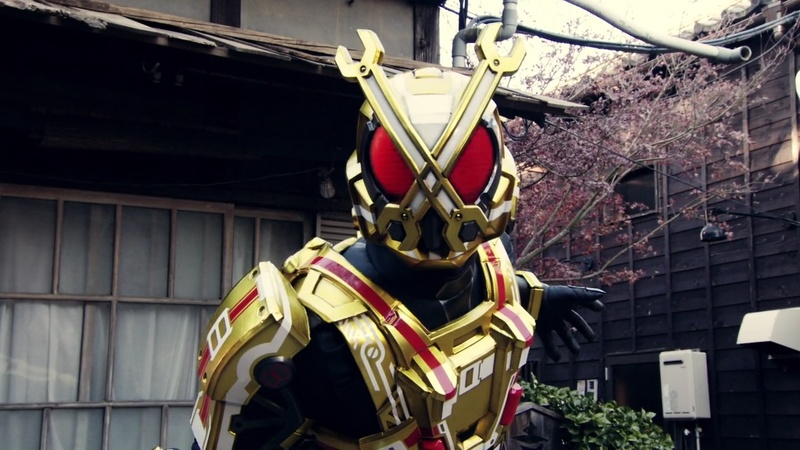 I think I would love to see a full Kamen Rider Kikai season as well. A kind of nostalgic future dystopia setting would be amazing. It’s always great when Kamen Rider or Sentai go to the Japanese countryside for episodes. For one thing, it definitely breaks free from the very familiar Tokyo locations. But it also gives a different vibe as well away from the city. The opening with Sougo and the Ojisan and Obasan machines was pretty exciting. And actually very cool. Another refreshing take and a great way to illustrate the dynamic of this 2121 world. Elsewhere in this episode, Tsukuyomi was acting very strange. It would appear the wakeup call from last episode really changed her mind. Maybe ShiroWoz has done something to her. But what could be very interesting is seeing her and Geiz actually having switched in how they want to deal with Sougo. That would be a very fun dynamic to have. Having everyone, including the TimeJackers in the dark about Kikai and how the Another Rider is created is a nice twist to the story. It breaks out of the routine we’ve had for the last 20 episodes so far of “Insert Watch-Another Rider-Defeat Another Rider-Reinsert Watch-Defeat Another Rider with Rider Watch”. The preview teases a temporary alliance in the next episode. But maybe more interesting is KuroWoz’s tease about Sougo possibly being stronger alone. We’ll see! Overall, a pretty great and exciting episode. Especially with Jingi Irie and Kikai. Looking forward to the next. Definitely a lot of things going on in this episode! I was a little annoyed by Tsukuyomi in this eps. LOL! I mean she turned against Sougo so fast. And it kind of makes me wonder if Geiz and Tsukuyomi turning against him is one of the reasons why Oma Zi-O exists like some kind of self fulling prophecy. Also, I really liked Kamen Rider Kikai! I would love to see a KR series based on him. And yeah, I definitely would love to see a full Kamen Rider Kikai series! Did you hear Kamen Rider Shinobi is getting his own miniseries?! 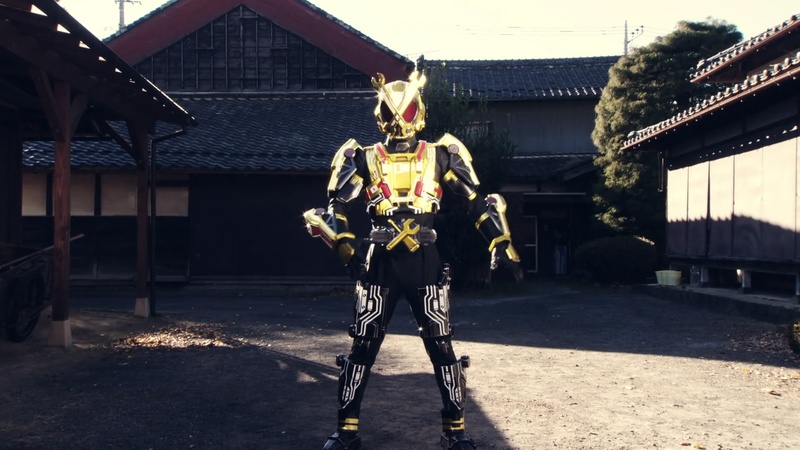 I’d love to see one for Quiz and Kikai. A Kamen Rider Shinobi miniseries?! That sounds Awesome!